Over the years many attempts have been made to upgrade the AM General Humvee that still enjoys widespread use with American forces and their allies. Perhaps the most impressive yet is a rare build process carried out by the defense contractor Textron that results in the Survivable Combat Tactical Vehicle (SCTV). The SCTV is a cost-effective option for armies who can’t afford newer armored cars but still need a battlefield truck. The SCTV’s origins are fairly recent. Textron and a partner firm named Granite Tactical Vehicles began promoting its re-manufacturing kits for Humvees in 2011. These eventually grew into the SCTV, which is exclusive to the M1100 series. 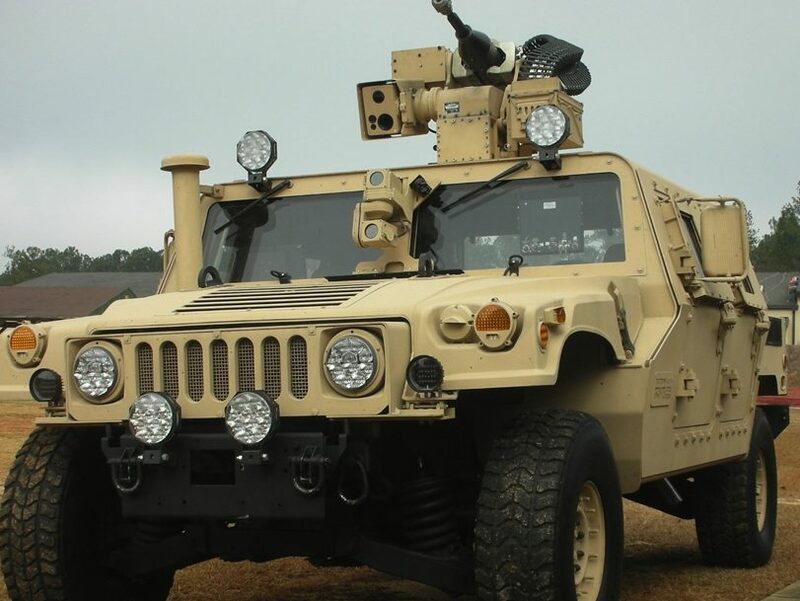 Although Textron tries to entice potential customers with broad claims that the SCTV is an enormous leap forward from the Humvee, the reality of it is more nuanced. To “build” an SCTV an older Humvee is disassembled and its chassis is given a new suspension system assembled by Meritor Defense. Most of the parts, at least 70% by Textron’s estimate, are retained but an armored “crew capsule” is installed with a V-hull underneath. Reinforced windows, doors, and an optional turret are added. Textron did claim up to 10 variants of the SCTV are available. The result is a taller and more intimidating Humvee that’s optimized for surviving blast impacts and shock waves. A basic SCTV comes with a 220 horsepower engine giving it a top speed reaching 110 kilometers per hour and a maximum range of 440 km. Textron remain mum on its exact armoring level although it does emphasize the SCTV can pack a punch. Among the SCTV’s promotional media is one variant that supports a 30mm cannon on a remote controlled turret. For the sake of convenience, Textron insists SCTV production can be shared with the client so the trucks are deployed faster. The SCTV doesn’t have any large orders yet although three models were reportedly sold to Ukraine in 2016 for evaluation. The sale was meant to augment the Ukrainian military’s small fleet of hand-me-down Humvees.